In my first article for SparkChess last year, I described the 2018 President’s Cup (the “Final Four of College Chess”) and asked readers to predict its result. New year, new contest! Read on for which colleges are competing in the 2019 Final Four, coming up April 6-7 at the Marshall Chess Club in New York City. Predict the winner and the order in which the four teams finish to win a SparkChess Premium Live Membership. Last year, in 2018, the Final Four winner was The University of Texas Rio Grande Valley (UTRGV), with seven-and-a-half (7.5) points out of a possible 12 points. In 2019, UTRGV is back to defend its title. Also competing are Webster University (WU), last year’s second place finisher. The two teams new for 2019, compared to 2018, are The University of Texas at Dallas (UT Dallas) and Harvard. UT Dallas did not qualify for the 2018 Final Four. However, UT Dallas had previously won the Final Four five times. Dr. Tim Redman, the founder of the UT Dallas chess program, began the annual tournament in 2001. In all 15 of its previous Final Four appearances, UT Dallas was coached by International Master (IM) Rade Milovanovic. UT Dallas will compete at the 2019 Final Four under its new coach, Grandmaster (GM) Julio Sadorra. Sadorra graduated from UT Dallas in 2013. I knew him personally then, as he took both of my online courses. I am delighted GM Sadorra has returned to campus as the team’s chess coach. Harvard University is making its second appearance in the Final Four; it previously qualified in 2002. Harvard’s top player, Darwin Yang, grew up in the Dallas area, attending St. Mark’s School of Texas. I wrote an article when he won the individual high school champion’s title at the Texas Scholastic Chess Championships. Although he won, then-IM Yang missed being a part of school team for that tournament. Now GM Yang leads Harvard in one of the most prestigious team chess competitions in the US. To qualify for the Final Four, each school must finish high in the standings at the Pan-American Intercollegiate Team Chess Championships (the “Pan-Am”). I wrote about the 2018 Pan-Am in a previous SparkChess article. That annual tournament, held between Christmas and New Year’s Day, usually has between 50 and 60 four-player teams from post-secondary schools in North America, Central America, South America, and the Caribbean. The 2018 Pan-Am was held in San Francisco and was the 65th annual tournament. Although WU had two teams in the top four finishers at the Pan-Am, each school sends just one team to the Final Four. So UTRGV, in a tie for fifth place at the Pan-Am but with better tie-breaks than other teams, joins WU, UT Dallas, and Harvard for the 2019 Final Four. Scoring at the Final Four of College Chess is by game points. That is, a 4-0 sweep is tremendously better than a 2.5-1.5 margin. Each team has four players competing during each of the three rounds, as the tournament is a round robin. So there are 12 possible points, with one point being scored for each game won, .5 points for each draw, and zero for each loss. The University of Texas Rio Grande Valley (UTRGV). Can you predict the order of finish of the four teams and the game points scored by the winning team? In the Comments section to this article, list the four teams in the order you think they will finish. The first team you list would be the team you think will finish in first place. So “WU, UTD, HU, and UTRGV” means that you think Webster will be in first, UT Dallas in second, Harvard University in third, and The University of Texas Rio Grande Valley in fourth. Your comment should also include the winning team’s final score (see #4 and #5 below). Only the first comment you put with your prediction counts for the contest. If you write multiple comments, we will still only count your first one. Your comment must be submitted by midnight on April 5, Eastern Time (the time zone in New York City, where the Final Four will be played April 6-April 7). You must enter your correct email address in your comment so we can contact you if you win. 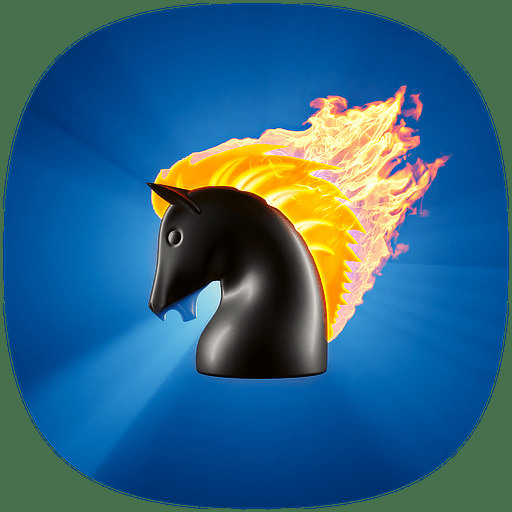 Ten SparkChess Premium Live one-year memberships will be awarded to participants in this contest. The memberships will go to the 10 contest participants who picked the correct finish order. If more than 10 participants picked the correct finish order, the 10 who got closest to the winning team’s final score, without going over that score, get the memberships on tiebreak. For example, if WU scores 8 points and you guessed 7.5 and someone else guessed 8.5, your tiebreak is better. Sadly, no one guessed the order of finish of the teams, which was UTRGV, WU, UTD, HU. Nevertheless, we decided to award all participants with a 3-month subscription to SparkChess Premium Live! We’ll contact everyone by email with details.